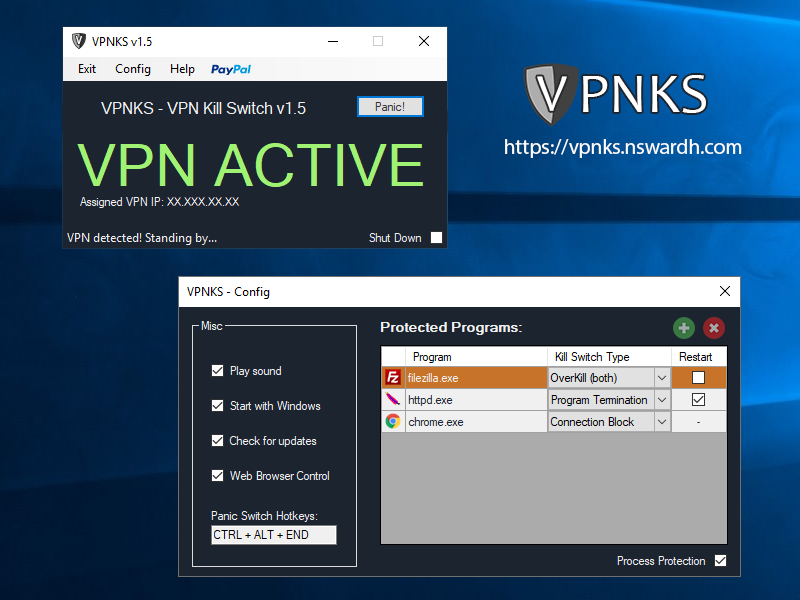 VPNKS is a free standalone Killswitch for Windows that automatically stops all traffic and data from leaking out and exposing your internet activity when your VPN connection drops. When activated, all traffic is blocked to protect your privacy and no data will be sent over your unsecured internet connection. Why to use a VPN Kill Switch? If internet security and privacy is important to you and you want to make sure that no unwanted data is sent over an unsecure connection, a VPN Kill Switch is of great significance as it will stop your data from being transferred and keep your privacy intact in case of unexpected VPN dropouts. This page was last modified on 17 March 2019, at 17:31.